Lenovo might make this year a convertible tablet the IdeaPad Yoga Family with Android and an Intel processor on the market. Lenovo was indeed represented at CES, has at the show in Las Vegas but only introduced Windows 8 Tablets. 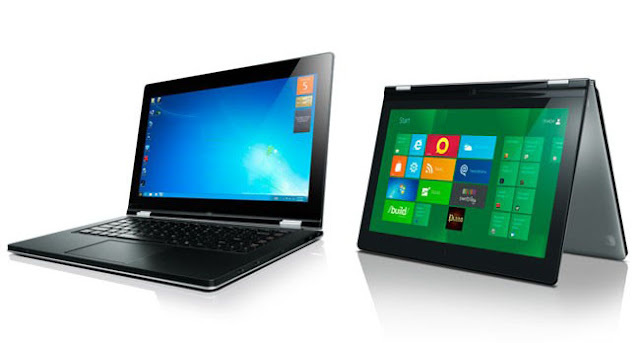 Among them is the Lenovo ThinkPad helix and the Lenovo IdeaPad Yoga 11S with an Intel chip. But according to a report by DigiTimes, which refer, as so often on information from the supply chain, Lenovo will bring this year, a convertible tablet with Android on the market. The new convertible tablet from Lenovo, according to the source could be equipped with an Intel processor. Intel has been working more with Google Android to optimize it for x86 chips. At CES, Lenovo has the Idea Phone K900 already introduced such a smartphone that looks very promising, but initially should only appear in China. Still in the first half of the year the Convertible stand tablet with Android and the possible Intel processor on the shelves. Lenovo is the way planned earlier have an Android tablet to bring out with the Intel Medfield processor, which had plans but rejected for unknown reasons. Recently, Lenovo had focused mainly on Windows 8 and the ThinkPad helix, as well as the IdeaPad Yoga 11 are two really good Tablets / Convertibles. Such a device with Android would be pretty interesting.